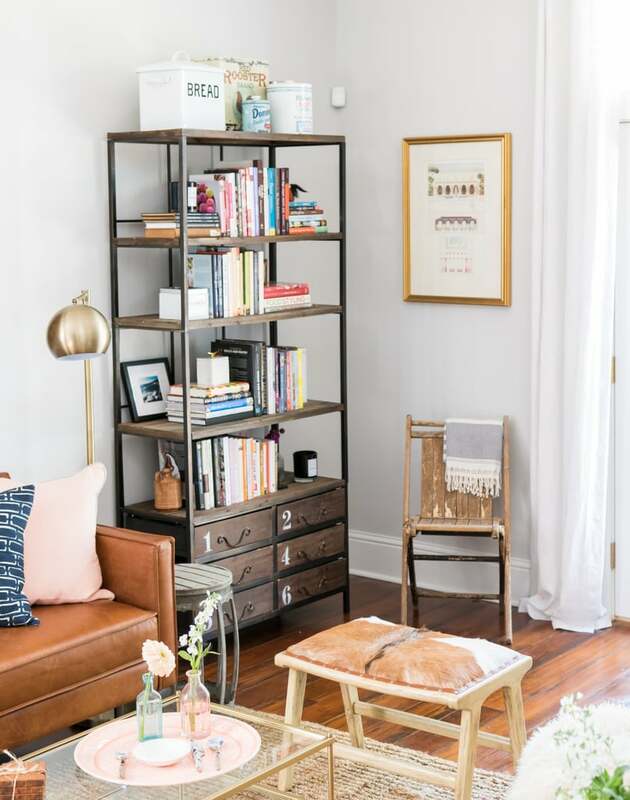 When baker, blogger, and cookbook author Joy Wilson, known as Joy the Baker, purchased her home in New Orleans, she knew the open concept layout would be the perfect set up for hosting baking classes and workshops. 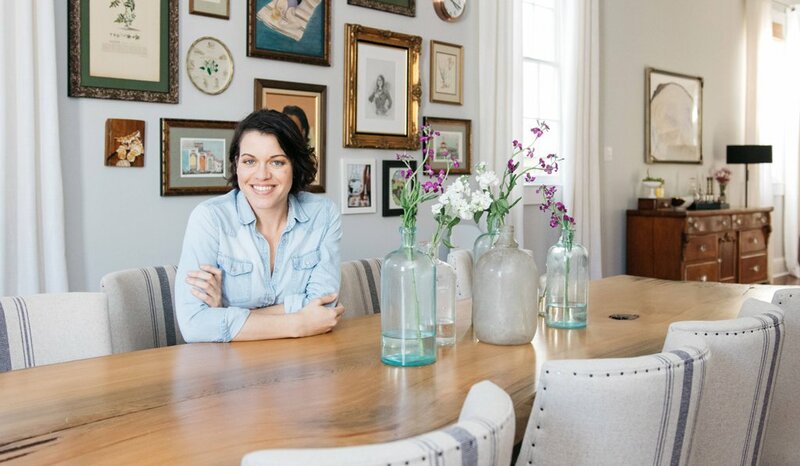 To help execute her vision for the perfect live/work home, Joy turned to online interior design company Laurel & Wolf designer James Tabb. The challenge? Transforming the early 1900’s-era shotgun-style home into a multifunctional space that still felt inviting and cohesive. “I wanted the design of the space to feel welcoming and personal but also have this professional element to it,” says Joy. To pull it off, James implemented 5 tricks of the trade that he says add instant coziness without sacrificing style and function. “Rugs immediately make your home feel more complete by acting as a bottom layer to your home decor. 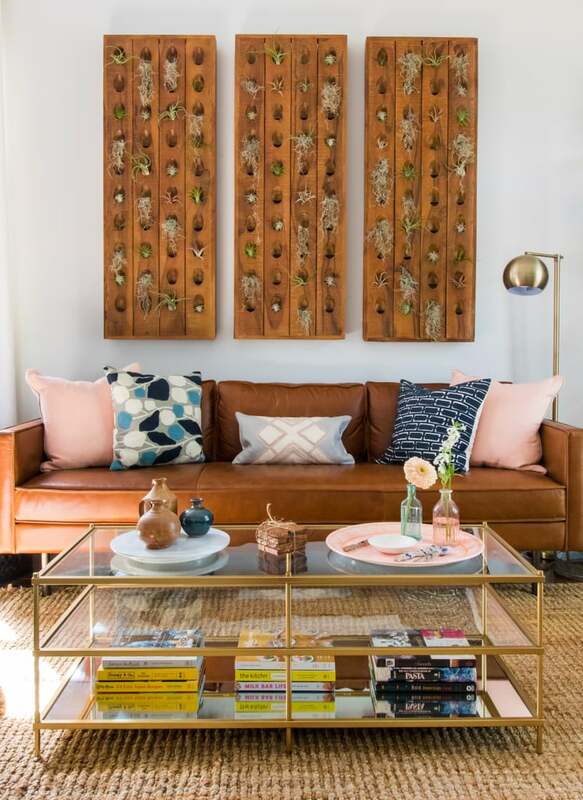 They help to delineate spaces as well as add texture and pattern to an entire room,” says James. To get the look, snag the colorful rug James used in Joy’s home. “One of the most common, yet overlooked ways to add a layer of cozy to your home is making sure you have enough pillows. Mix pleasing textures with patterns and colors that you can swap out when your tastes change,” says James. “There is nothing like a good book to curl up with in a comfy chair. Books make the best accessories and ensure you always have something new to read or learn,” says James.